For better or for worse, the search is over for Gennady Golovkin’s next opponent. In what will amount to his first non-title fight in nearly a decade, the former unified middleweight titlist will return to the ring on June 8 at Madison Square Garden in New York City. Golovkin will face Canada’s Steve Rolls. The event will stream live on DAZN, whose press office confirmed the news on Tuesday. The show—which lands one week after the U.S. debut of unbeaten, unified titlist Anthony Joshua at the very same venue in a June 1 title defense versus undefeated challenger Jarrell Miller—will mark Golovkin’s first piece of ring action since his disputed points loss to Saul ‘Canelo’ Alvarez last September in Las Vegas. The majority decision defeat left him tied with Bernard Hopkins for the most consecutive title defenses (20) in middleweight history, opting to sit out the rest of the year and well into 2019 while deciding his next move. Part of that thinking process led to his signing with DAZN earlier this year. The June 8 bout with Canada’s Rolls (19-0, 10KOs) will serve as his debut on the sports streaming platform. 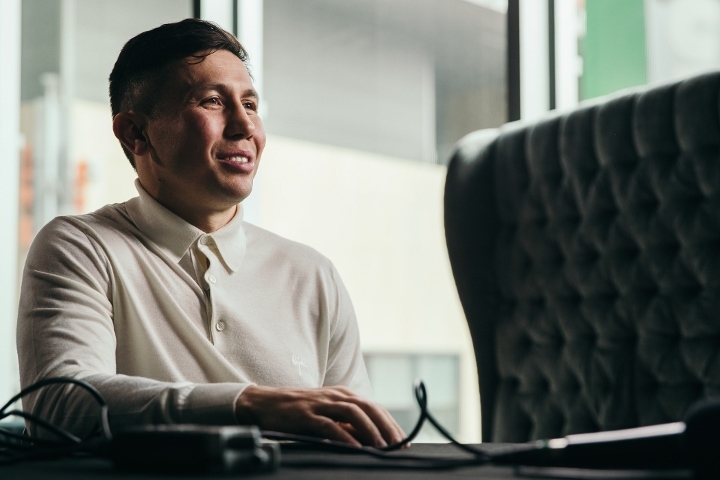 “I am very happy that GGG Promotions has a new home at DAZN,” notes Golovkin, who is now among a slew of middleweight talent contractually bound to the platform. The 2004 Olympic Silver medalist and former long-reigning middleweight titlist was among the last of the high-profile network free agents in light of HBO bowing out of the boxing business at the close of 2018. Golovkin (38-1-1, 34KOs) had fought exclusively on HBO since 2012, his network debut also doubling as the first career stateside performance for the Kazakhstani knockout artist. In the years since then, he’s developed as a sizeable draw on both U.S. coasts, especially at Madison Square Garden on whose property he will fight for the sixth time in his career. The last Garden party for Golovkin came in March ’17, narrowly outpointing Daniel Jacobs in their middleweight title consolidation bout. The thrilling affair went to the scorecards, which ended Golovkin’s streak of 23 consecutive knockouts but still kept alive his title reign and unbeaten record in scoring a unanimous decision victory. From there came a highly questionable 12-round draw with Alvarez in their first fight later that September, followed by a stalled rematch due to the Mexican icon twice testing positive for Clenbuterol which killed plans for their May 5 clash in Las Vegas. Golovkin instead settled for a stay-busy affair with used-up Vanes Martirosyan, whom he wiped out in two rounds for his last in-ring victory. Even with the understanding of Martirosyan surfacing as a late replacement opponent, the matchup was met with sharp criticism. As much has already surfaced in his proceeding with his June affair versus Rolls, who carries a deep amateur pedigree but whom has never quite advanced beyond prospect level in the pro ranks. That doesn’t leave him any less confident of pulling off the upset in June. “I want to sincerely thank DAZN and GGG himself for giving me the opportunity to challenge one of the best fighters in the world,” said Rolls. Rolls was a member of the Canadian National Boxing Team in his final years as an amateur before turning pro in 2011. The bulk of his career has taken place in his native Canada, although he regularly trained under at Detroit’s famed Kronk Gym under the tutelage of Emanuel Steward before the late, great trainer’s health began to decline. While nothing on his résumé falls in line with the type of opponents who should be in consideration for a high-profile showdown with Golovkin, Rolls has earned his pound of flesh through the years. The veteran boxer—who turned 35 on Monday—has appeared several times on Showtime’s ShoBox series, including a thrilling eight-round split decision win over Demond Nicholson in June ’17. Rolls enters this fight on the heels of a 10-round regional title win over Keandre Leatherwood last December in his Toronto hometown. It was hurry up and wait from there, although his patience has proven to pay off in a big way. The unbeaten middleweight emerged as the lottery winner in the Golovkin sweepstakes over Brandon Adams—whom instead accepted a more lucrative offer for a shot at interim titlist JErmall Charlo in late June—and Hassan N’Dam N’Jikam, a former middleweight titlist who brings little more than a recognizable name. That said, the event is more about positioning Golovkin for a third showdown with Alvarez, whom first has to deal with Jacobs in their May 4 World middleweight championship clash in Las Vegas. All three middleweights are under contract with DAZN, as is unbeaten titlist Demetrius Andrade, who is eyeing a late June title defense versus Poland’s Maciej Sulecki. Should Alvarez and Golovkin both prevail in their next fights, a third encounter between the two is expected to take place this September. The network brass at DAZN is strongly pushing for such a fight, having invested heavily not only into each fighter but the middleweight division as a whole.